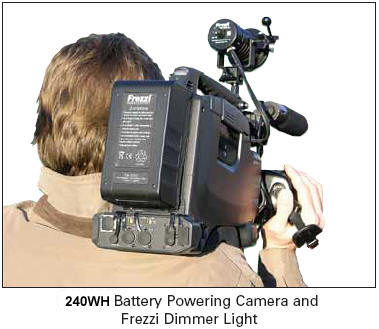 Frezzi is proud to introduce the most powerful and lightest on-camera professional batteries. 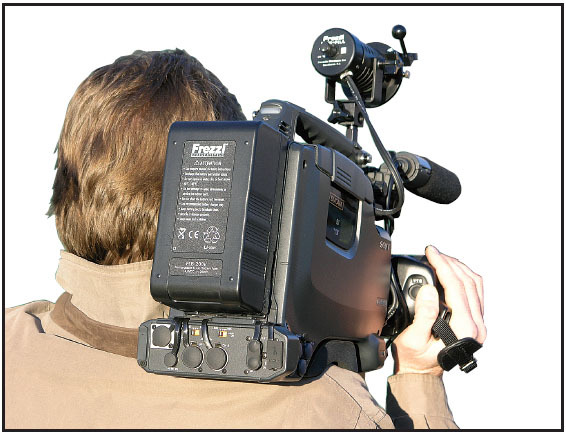 These new lithium-Ion camera batteries were designed for the professional videographer who requires a lightweight, dependable battery that offers the most capacity to run a camera for hours without frequent battery changes. These new lightweight Frezzi batteries are available in 100WH 1.9lbs., the most powerful lithium available for legal transport without restrictions, and an incredible NEW 240WH battery weighing just 3.1 lbs. 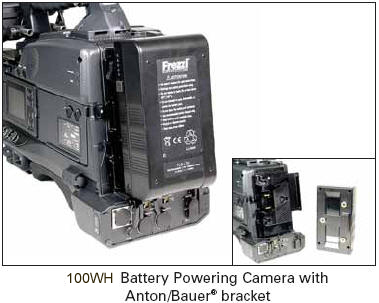 They directly connect to all cameras with an Anton / Bauer® or V-Lock bracket. 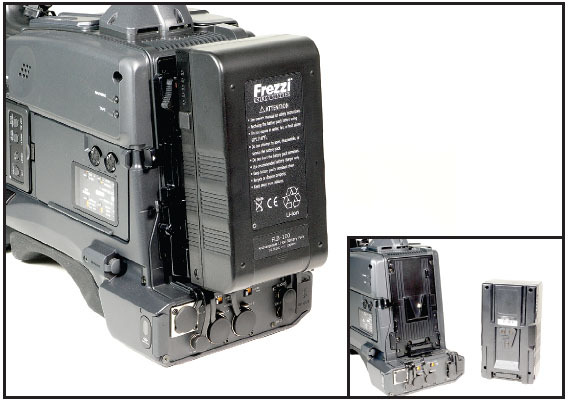 Frezzi new simultaneous FLC-2 dual channel and FLC-1 compact single channel chargers are available as well as all new M2100 / M2100A series all chemistry chargers. 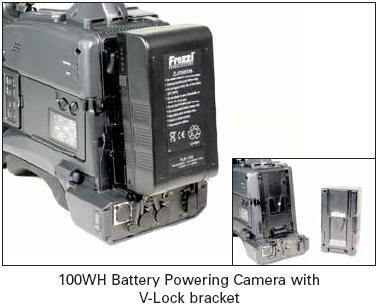 Note: Frezzi’s V-lock series batteries can also be charged on most Sony® or IDX® lithium-ion battery chargers. Exceptions for passengers, crew members, and air operators. Up to two Lithium-Ion batteries greater than 100 Watt Hours but not more than 160 Watt Hours may be carried in carry-on baggage only for DOMESTIC US airline travel for passengers and crew. Each battery must be individually protected to prevent short circuits. No exceptions for batteries in equipment for checked-in baggage. Lithium-ion battery in equipment may be carried. PLEASE NOTE: AIRLINES MAY INSTEAD FOLLOW UNITED NATIONS IATA REGULATIONS, PLEASE SEE LINK BELOW. CALL AIRLINES PRIOR TO TRAVEL WHEN TRAVELING WITH BATTERIES EXCEEDING 100WH. 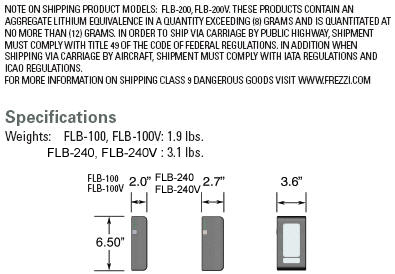 Due to new IATA regulations that are effective January 1, 2009, you can no longer carry as spare batteries in carry on baggage, or in equipment in either checked or carry on baggage product models FLB-200, FLB-200V, FLB-240, or FLB-240V for International flights. Please see link below for more detailed information.